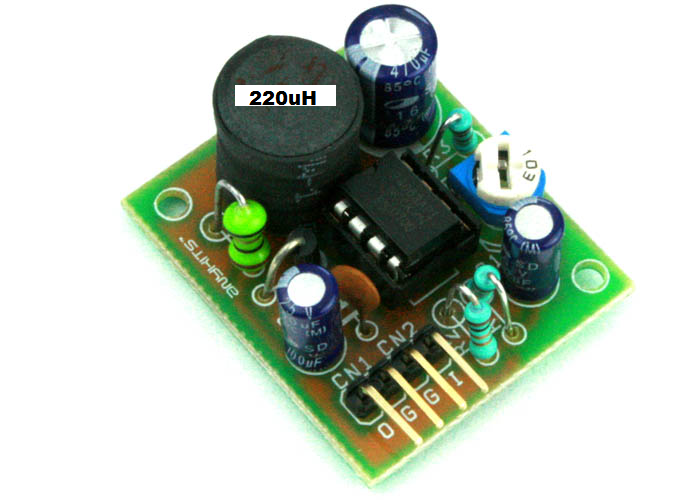 This project is a step up DC to DC power converter able to convert 2.4V – 5V to 5Vdc. 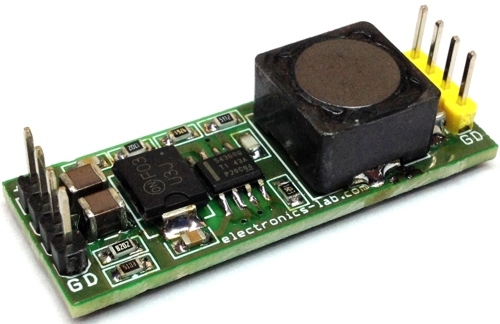 This project has been designed around Texas Instruments LM2623 IC, The LM2623 is a high efficiency, general purpose step-up DC-DC switching regulator for battery powered and low input voltage systems. 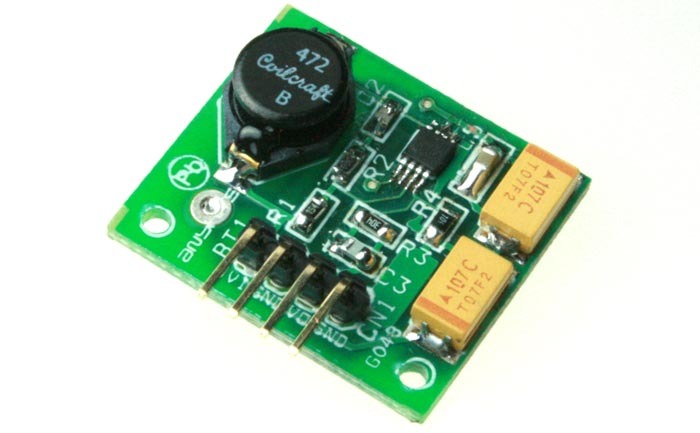 It accepts an input voltage between 2.4V to 12V volts and converts it into 5V DC. Efficiencies up to 90% are achievable with the LM2623. 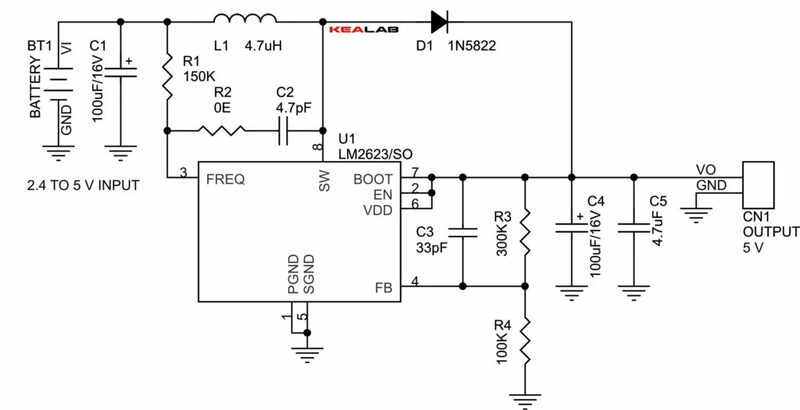 Does it provide 5V continously even when the input is 2.5V ? will the output be stable if the Vin fluctuates? That’s the purpose of this voltage converter. Keep in mind that the voltage should be inside the input limits. I can’t enter the equation here. 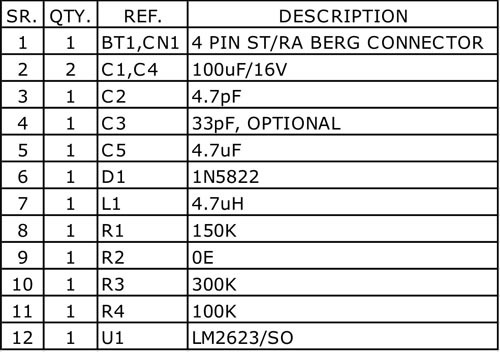 Please check on datasheet page 11 – chapter 8.2.2.3 Setting the Output Voltage. http://www.ti.com.cn/cn/lit/ds/symlink/lm2623.pdf A value of 50k to 100k is suggested for R4. Then, R3 can be selected using Equation 1. What kind of inductor you used here and what is R2 0E? No, you will need a high power inductor like the one on the mouser.com link above. 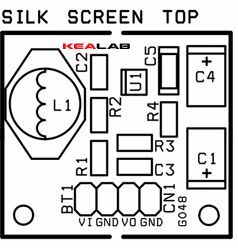 As for C5 you can use a through hole capacitor that will be fitted on the PCB. can i use electrolytic capacitor on C5? How about using a 1.5V or 6V battery for the input? can i use a polarize capacitor for C5? It’s better to use a ceramic capacitor there. Can i use solar panel that’s 3V for the input instead of a battery? You may use a solar panel on the input that is able to provide 2.4 to 12V output. Hi 🙂 I changed the input into 3V but the output is 3V too. Please check for damaged diode or IC. 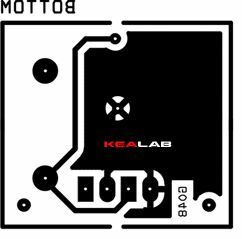 What are the exact dimensions of the pcb drawn in this page. Thanks. 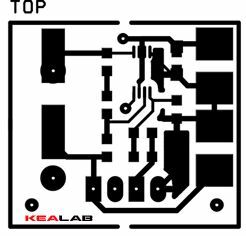 Can i use through hole components (on a new pcb) for all the parts (except the lm2623 of course) ? Sure, it will work just fine. Another issue : is there a way to improve the maximum output current to let’s say 1.5A or 2A. What are the modifications needed for this purpose? Thanks in advance. For that output current, you probably need a completely new design with different IC. Why the output is oscillating continuously between 4.8 and 5.3 V (not stable) ? Have you placed all filtering capacitors to the output? Have rebuilt the circuit using your pcb (not the mine) and it works just fine. I’m using it to feed an audio amplifier rated at 6w (2x3w) so the current drawn is 1.2A (6w/5v) vs an announced nominal current of 500mA ?? Is there an explanantion. 6W should be the maximum instantaneous power delivered to the speakers and not RMS power which is lower. So that’s why your amplifier has 500mA nominal current. where can I buy the components for this board? Your can source the parts online from various suppliers, like mouser.com ebay.com and others. Hi i need to charge my samsung s8 with this kind of circuit via aa batteries. .So in need 2 A output. Are there any suggestion for me? where i can buy the module? .. but if input 2.4 volt and current is 30 micro ampere, can work the module? could you send me the gerber file? I’ve just uploaded the Gerber files for this project on the downloads section above. 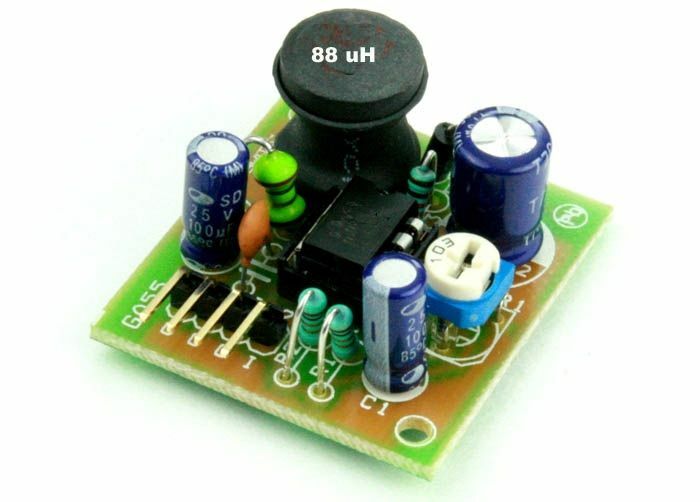 @ intelligent emergency led light driver making circuit diagram . 230vac input and 4vdc utput. 3,7 or 4 vdc li ion battery back up. ii want t make by myself. i need easy diagram with available parts. For 1. you will need a completely new IC and design, we don’t have such board. 2. We only have an emergency light with Lead Acid battery backup.